Shells have been collected on seashores since...well, since people strolled on seashores. 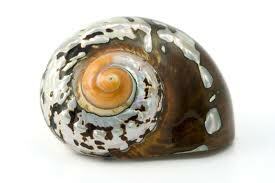 Like a beautiful armour, shells once kept delicate creatures out of harms way. If you are seeing shells, the Universe may be asking you to reevaluate your boundaries. Have you put up a wall, trying to hide your truth or fears from others and yourself? Are you wearing a mask, pretending that everything is okay when you clearly aren't feeling okay at all? Not acknowledging a problem won't make it go away. Its time to position yourself to live the life you truly desire. On the other hand, drowning yourself in a problem isn't solving it either. Maybe shells message is for you to identify with its armor. What are you willing to do to protect your interests and invest in your own fulfillment? You can be strong and beautiful, solid yet graceful. You are unique, don't be afraid to be yourself, even if it means people will laugh at you. After awhile, it won't matter.Trust me on that one. Maybe the message of shell speaks to another part of you, reminding you that others may only see the confident, strong you. You can choose to identify with your weakness and vulnerability, or you can identify with your will, courage and strength. The choice is yours. Ideally, we have a balance of both. Strength and vulnerability make room for miracles and inspire readiness. Carry a shell with you when you need to be strong, yet connected to your emotional truth. These are transforming times we are living in. Lets use this to elevate us!